If you didn’t know it, it is generally considered that the most successful Eurovision song of all time comes from 1974. It is ‘Waterloo’, sung by Swedish pop group ABBA. It is fair to say that since 1974 ABBA have certainly made a name for themselves in the world of music. Interestingly, the previous year they failed to become Sweden’s entry with ‘Ring Ring’. ABBA’s music has been unquestionably successful and incredibly popular. Although they mix the occasional ballad with their traditional pop tunes, they have been quite predictable in their style, and this has proven to be a winning formula. Songs are generally upbeat, follow a predictable sort of chord progression and are always in four-four time. As a result, it is not surprising that others have tried to copy this formula in order to bring success at Eurovision. And here are some examples that stuck in my mind. Charlotte blasted this one out in true ABBA style. Also representing Sweden, this one actually managed to win the 1999 contest, and as such is the most successful on this list. She returned years later with a new surname and new… makeover with the song ‘Hero’, also in similar vein. Alas it didn’t win, but was quite a memorable tune in itself. The backbeat and style are unmistakably ABBA as these three ladies from Bosnia took on Eurovision in 2005. Strangely did not quite leave as memorable a mark as ABBA in 1974. The next year and Sandra, who actually hails from Sweden, represents Estonia in this toe-tapping number. Great little track IMO. I mean, we are looking at songs from Sweden or sung by a Swede, aren’t we. So far. With one exception. The four-four backbeat is unmistakable, but honestly I found this one quite forgettable. I mean, really, it goes to show that once you’re onto a good thing, you never, ever, ever, EVER change. Sweden again. Sometimes it’s successful, sometimes less so. Don’t mind this one, but it was never going to win. And finally, not a Swede in sight but we have Kate Ryan (born Katrien Verbeek) singing for Belgium. As you do. This is a brilliant song with pulsating microphone stands and cheesy dance moves. I LOVE it! And no, it didn’t make it to the final. 2006 was the year of people getting robbed I tell you! The backbeat is unmistakable! 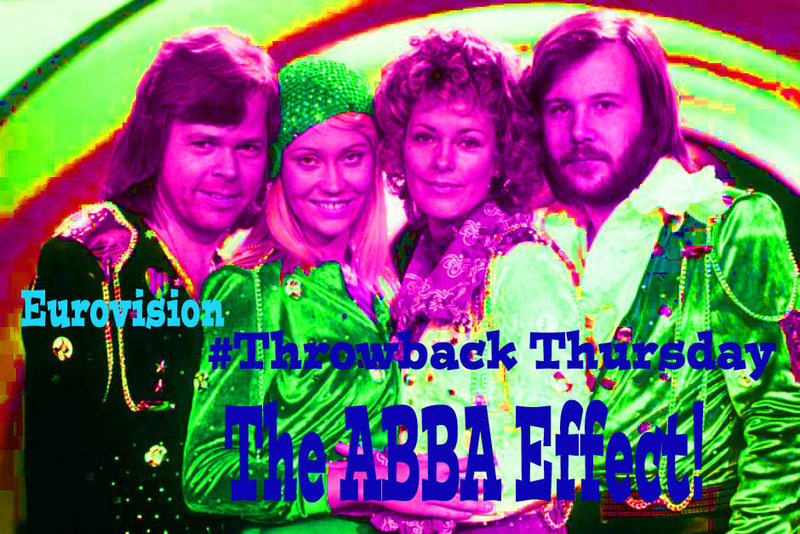 There’s no doubt ABBA has influenced not just Eurovision, but pop music in general for the last 45 years. For good and for bad. Although only one of these six won, they are all fun, upbeat songs, and songs that made the contest it their years all the more bright and enjoyable. So for that, I thank ABBA. Thanks for tuning in, May the Journey Never End! Previous Why you should consider Ethiopia!